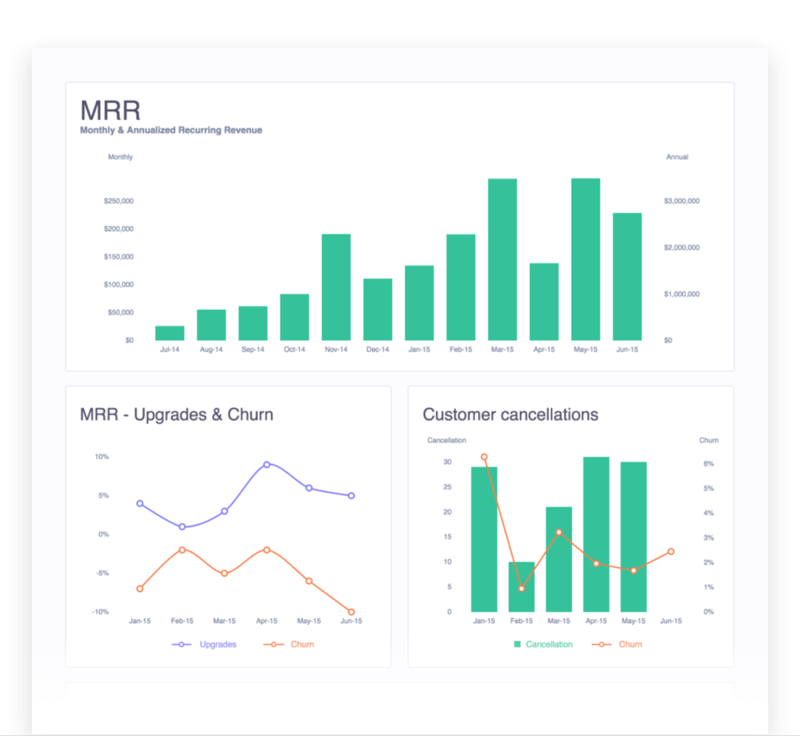 Try RevenueStory - actionable subscription analytics for Chargebee. When you have different payment channels, changing subscriptions and customers around the world to stay on top of, Chargebee's metric dashboard, doubles up as your assistant with all the essentials to track the health of your business, at the tap of a button. Whether you’re at home or halfway around the world, Chargebee will keep you informed. 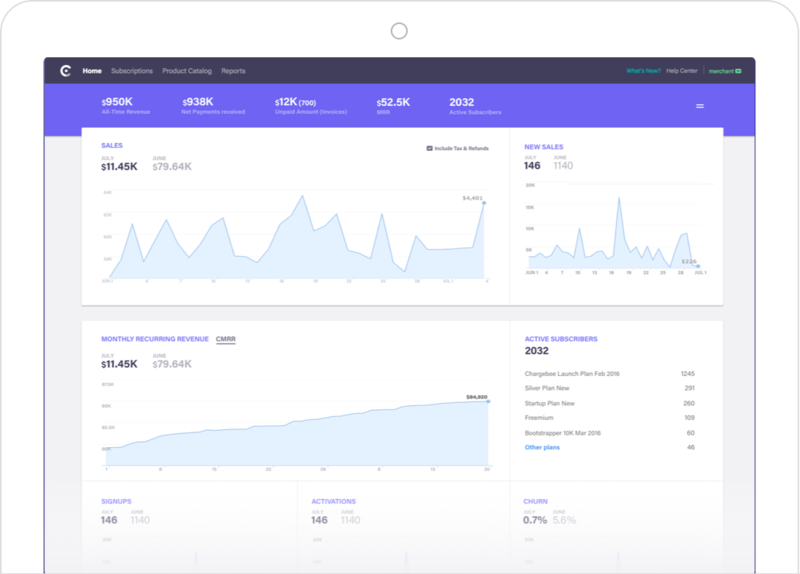 With a daily report arming you with your essential SaaS metrics, you’ll never miss something that matters. New Drill down and view your data using extensive filtering options within reports. 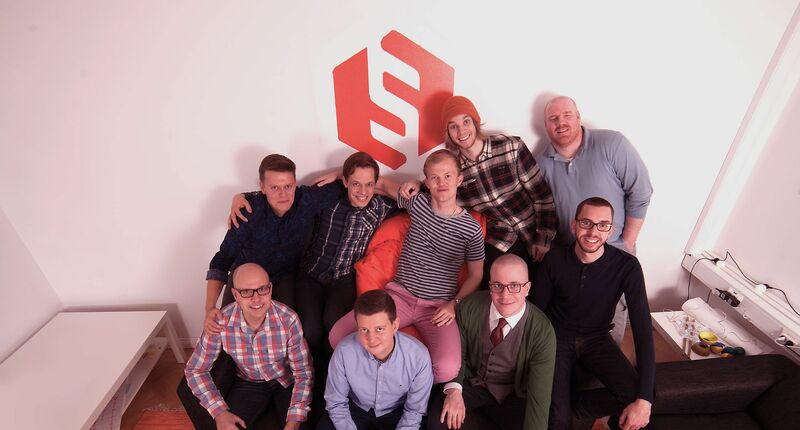 You won’t believe the lengths our analytics team will go to for your business. From customized SaaS reporting to crunching additional data, Chargebee will make sure you have everything you need to be mighty.